ST. PETERSBURG, Russia – Shy, diminutive and without that distinctive ponytail, Emil Forsberg couldn’t be more different than the larger-than-life Zlatan Ibrahimovic. 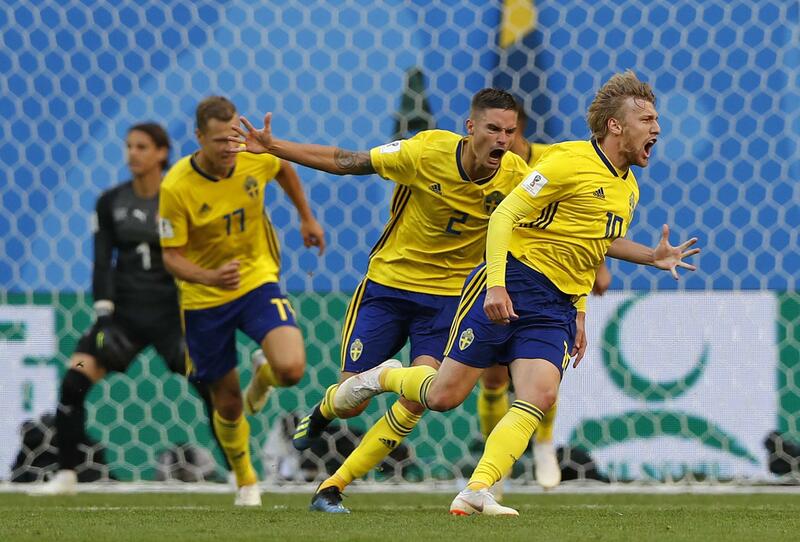 Sweden became the fifth European team to reach the quarterfinals and will next play either England or Colombia on Saturday in Samara. Limited but with a highly effective game plan, the Swedes should not be underestimated. “They have done precisely what they’re very good at,” Switzerland coach Vladimir Petkovic said, “and that might have been enough to beat us. Published: July 3, 2018, 11:41 a.m. Updated: July 3, 2018, 11:42 a.m.